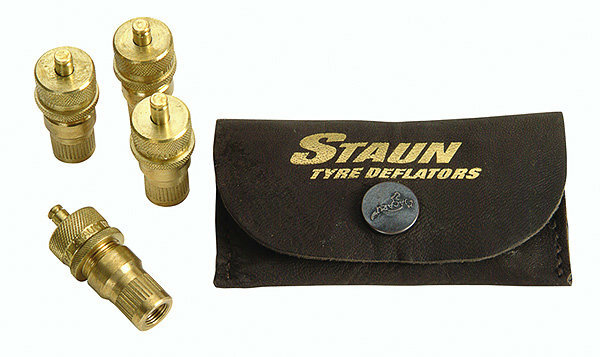 These fully adjustable tire deflators are by far the quickest & easiest way to reduce tire pressure from 30 to 6 psi. Each valve has an adjustment range specific to the deflation level of your choice. They are highly accurate & easy to use, deflating to within 0.05psi of the preset pressure. Made of solid brass, these feature a 5 year warranty.